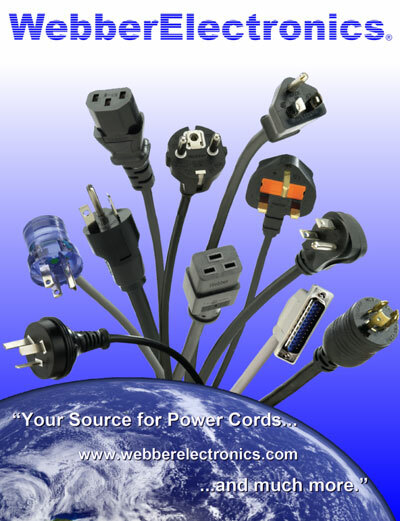 Webber Electronics offers a wide range of cables from Home PC interfaces to custom applications. These items include, but are not limited to: USB, D-Sub, CAT5/Patch, and many common ribbon cables. Please continue to read below for further explaination of how we can meet your computer cable need. Webber Electronics offers all types of USB cables (Universal Serial Bus). "A" to "B", "A" to "A", extension cables, Mini USB "A" and Mini USB "B". Our cables are High Speed 2.0 certified. If you need a standard cable we have thousands "off-the-shelf" versions in a variety of lengths. If you need something a little more customized, we can build to your specifications in small or large quantities. Webber Electronics now offers High Speed 3.0 USB cables. "A" to "B", "A" to "A", extension cables, Mini USB "A" and Mini USB "B". Our cables are High Speed 3.0 certified. CAT5E Patch Cords are also known as Fast CAT5 Ethernet. Webber Electronics offers thousands of CAT5e (Enhanced) patch cords in lengths from 1 foot to 100 feet. We can also supply custom made longer lengths here in the USA and offshore in China. We also carry these in a variety of colors such as: white, gray, green, blue, yellow, orange, black, and red. We offer our Network Ethernet Patch cords in molded boot versions and non-booted versions. CAT5E, UTP (Unshielded Twisted Pair), is 350Mhz rated. CAT-5e cables are used for networking, data transfer, and VOIP phone lines. CAT6 Cables are used in network applications such as 10Base-T and 100Base-T Ethernet technology up to 100 meters (328 feet). Webber Electronics CAT5E cables perform at high-data transfer rates. These cables deliver improved performance over standard CAT5 cables. This is the most common cable used today in Ethernet Networks (Unshielded Twisted Pair). CAT5e is completely backward-compatible with current CAT5 equipment. Our CAT5e Cables are composed of 4 pairs 24 AWG stranded conductors with PVC jackets. Webber Electronics offers serial cables, extensions, and adapters. Serial cables use DB9, DB25, PS/2, Din 5, and MD6 connectors. RS232 is a serial data transmission that is still commonly used in medical devices, fitness equipment, printers, keyboards, and mice to name a few. USB or Universal Serial Bus has replaced some of the DB9 and DB25 connections because of its smaller size and high-speed and large data-tranmission capacity. Webber Electronics offers ribbon cables (also known as multi-wire planar cable), a cable with many conducting wires running parallel to each other on the same flat plane. As a result the cable is wide and flat. Its name comes from the resemblance of the cable to a piece of ribbon. Ribbon cables are usually seen for internal peripherals in computers, such as hard drives, CD drives and floppy drives. On some older computer systems (such as the BBC Micro and Apple II series) they were used for external connections as well. Unfortunately the ribbon-like shape interferes with computer cooling by disrupting airflow within the case and also makes the cables awkward to handle, especially when there are a lot of them; round cables have almost entirely replaced ribbon cables for external connections and are increasingly being used internally as well.